U.S. stock index futures were slightly higher Tuesday morning, as market participants await a flurry of corporate earnings. At around 02:00 a.m. ET, Dow futures rose by 23 points, indicating a positive open of more than 27 points. Futures on the S&P and Nasdaq were both seen marginally higher. Oil prices jumped more than 2% in the previous session, hitting their highest level this year amid intensifying concern about global supplies. It comes after the U.S. announced a further clampdown on Iran’s oil exports. The world’s largest economy said Monday that from May 1, it would eliminate all waivers allowing eight economies to buy Iranian oil without facing U.S. sanctions. International benchmark Brent crude traded at $74.40 Tuesday morning, up around 0.5%, while U.S. West Texas Intermediate (WTI) stood at $65.93, almost 0.6% higher. 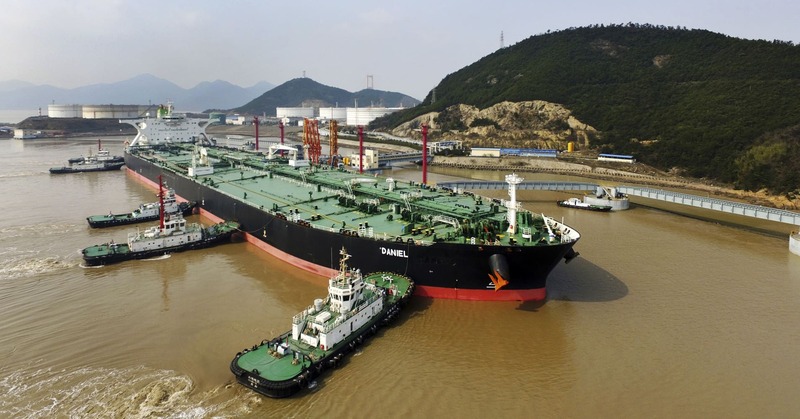 China and India are both unlikely to completely cut off Iranian crude imports, energy analysts have said, despite the imminent threat of U.S. sanctions. President Donald Trump’s administration announced Monday that buyers of Iranian oil must stop purchases by May 1 or face sanctions. 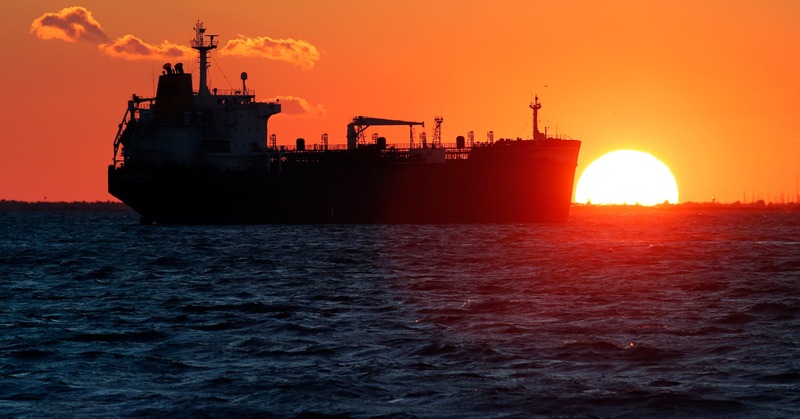 The move, which took many market participants by surprise, ends six months of waivers which had allowed Iran’s eight biggest buyers of crude to continue to import limited volumes. International benchmark Brent crude traded at $74.26 Tuesday afternoon, up around 0.3%, while U.S. West Texas Intermediate (WTI) stood at $65.93, almost 0.6% higher. “Iranian exports will not actually reach zero,” analysts at Eurasia Group said in a research note published Monday. A flurry of intensifying risks in the energy market has made it “virtually impossible” to confidently forecast the price of oil, industry experts told CNBC on Thursday. Oil prices have soared since the start of the year, due to a number of risk factors such as OPEC-led supply cuts, U.S. sanctions on oil exporters Iran and Venezuela and escalating fighting in Libya. But, alongside mounting concerns about the health of the global economy, surging U.S. crude inventories appears to have capped further gains. “There are so many uncertainties surrounding the oil market that it makes it virtually impossible to predict developments for the rest of the week let alone for months or a year ahead,” Tamas Varga, senior analyst at PVM Oil Associates, said in a research note published Thursday. International benchmark Brent crude traded at around $71.15 Thursday afternoon, down 0.8%, while U.S. West Texas Intermediate (WTI) stood at $64.05, around 0.9% lower. Brent and WTI crude futures have risen by approximately 30% and 40% respectively since the start of the year. International oil prices will average $75 a barrel in 2019, and consumers may find themselves contending with bouts of $80 crude this summer, RBC Capital Markets said. The global investment bank revised its oil price forecast higher Thursday, pointing to a cocktail of market conditions. Those include steep OPEC supply cuts, robust demand, geopolitical risk and investor positioning that leaves crude futures with plenty of room to run. RBC’s $75 call for international Brent crude is up from a previous 2019 forecast of $69.50 per barrel. The bank also boosted its outlook for U.S. West Texas Intermediate crude from $61.30 per barrel to $67 for 2019. “We see price risk asymmetrically skewed to the upside spurred by geopolitically infused rallies that could shoot prices toward or even beyond our high-end, bull-case scenario and test the $80/bbl mark for intermittent periods this summer,” RBC strategists Michael Tran, Helima Croft and Christopher Louney said in a research note. Brent hit $71.78 and WTI rose to $64.79 this week, the highest levels since early November. While Brent and WTI have rallied 32% and 40.5%, respectively, this year, the oil trade is not as crowded as it was last year. There are currently about 4.5 times as many long positions in crude futures — bets that oil will rise — as there are short positions, or wagers that the commodity price will fall. The long-to-short ratio reached 13 times “at the peak of the oil price euphoria last fall” and averaged 8.5 times in 2018, RBC notes. 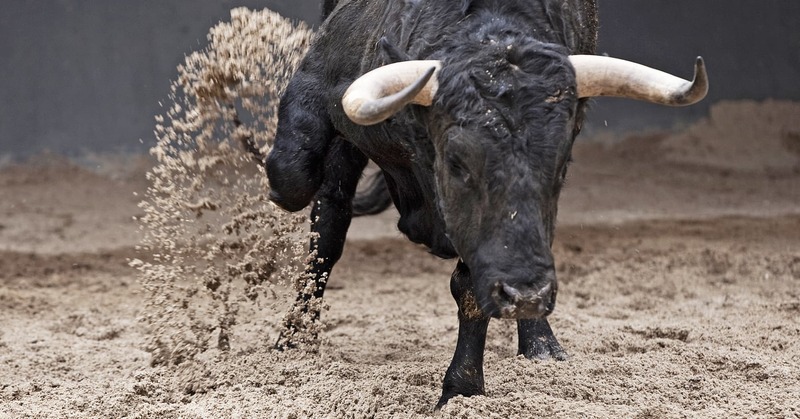 “In short, there is room to run to the upside given that geopolitical hotspots are still a clear and present danger for the market, but many wounded bulls remain following the Q4’18 washout,” the analysts said, referring to the collapse in oil prices at the end of last year. RBC expects the 14-nation OPEC producer group to extend its deal to cap output and boost oil prices, keeping the cost of crude near the $75-$80 range many nations need to balance their budgets. The bank sees signs of strong demand in the Atlantic Basin, where bellwether barrels from the North Sea and West Africa are finding buyers. DUBAI — A resurgence in fighting around the Libyan capital of Tripoli this week has driven U.S. forces to pull out of the country and is providing a new upside risk to global oil prices, underscoring the OPEC producer’s importance to markets and the fragility of its supply. 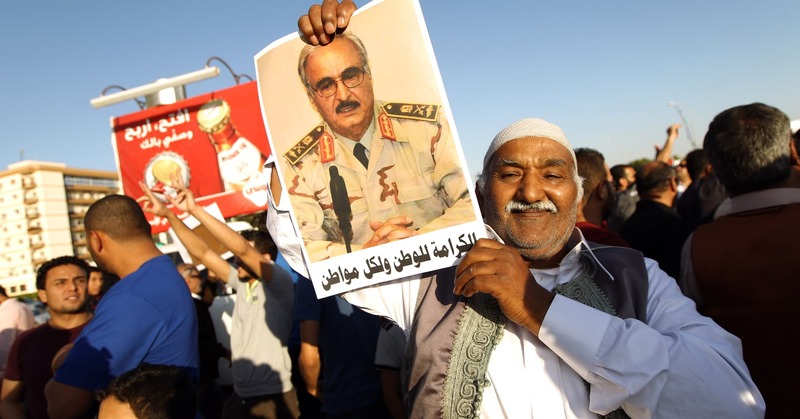 Rebel forces loyal to renegade General Khalifa Hifter, who effectively controls the country’s breakaway east, launched a surprise offensive against the home of Libya’s UN-recognized government last week in a move that risks plunging the country back into civil war. “The Libyan conflict coming back onto the front of the mind of the marketplace is actually very significant right now,” Dave Ernsberger, global head of energy at S&P Global Platts, told CNBC in Dubai on Monday. 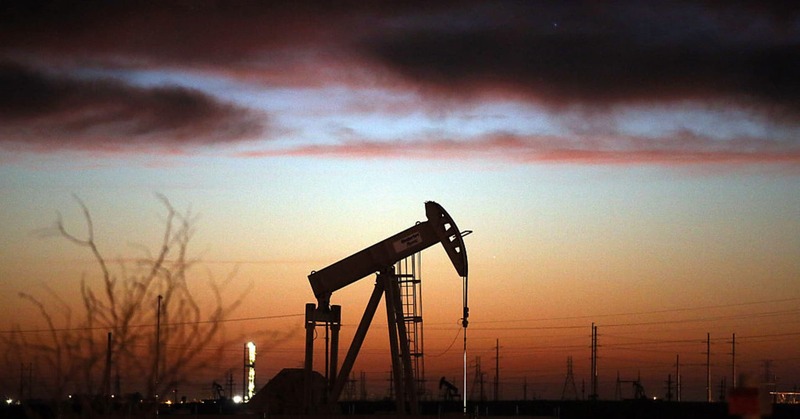 The looming conflict follows a surge in crude futures in recent months on the back of tightening supply, with global benchmark Brent and U.S. West Texas Intermediate (WTI) both rallying more than 20 percent since the start of 2019. Brent crude stood at $70 a barrel on Monday, with WTI trading at around $63. A 75-year-old general who holds American citizenship, Hifter was formerly a Gadhafi ally but returned to Libya in 2011, after years in the U.S., to join the NATO offensive that toppled the dictator. 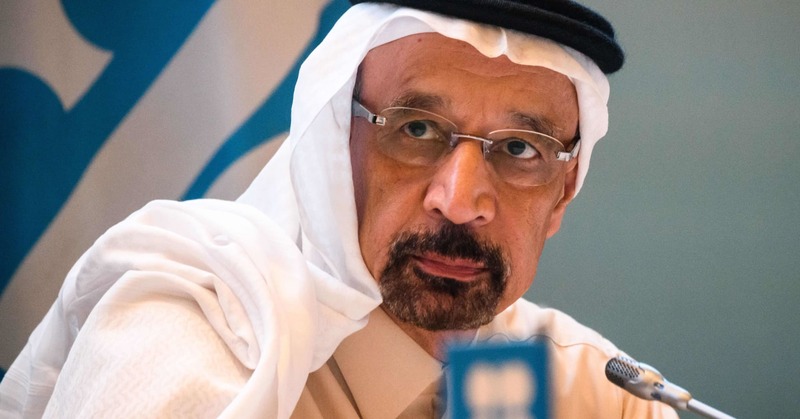 OPEC kingpin Saudi Arabia will continue to ignore President Donald Trump’s tolerance threshold for rising oil prices, one analyst told CNBC on Friday, putting Riyadh on a “collision course” with Washington. Trump delivered his second warning to OPEC this year on Thursday, demanding the producer group start pumping more oil to curtail rising crude prices. His tweet comes at a time when OPEC and a group of allies continue to cut production following a collapse in oil prices during the final months of 2018. The output curbs by the so-called OPEC+ group have played a major part in the oil market’s rebound so far this year. “The past few weeks has taught us that President Trump’s oil price ‘tolerance threshold’ is in the high $60s,” Stephen Brennock, oil analyst at PVM Oil Associates, said in a research note published Friday. “A sustained move into the $70s basis Brent therefore risks putting the Saudis in the firing line for a dose of ever-increasing Trump pressure,” Brennock said. Brent crude traded at around $68.80 on Friday, up more than 1.4 percent, while ﻿West Texas Intermediate (WTI) stood at $60.47, over 2 percent higher. Brent has rallied more than 21 percent this year, while WTI is up nearly 25 percent over the same period. At around 4:15 a.m. ET, the yield on the benchmark 10-year Treasury note, which moves inversely to price, was lower at around 2.6518 percent, while the yield on the 30-year Treasury bond was also lower at 2.9944 percent. Market participants are likely to monitor remarks from Federal Reserve Bank of San Francisco President Mary Daly later in the session. Daly’s scheduled conference comes less than 24 hours after Fed Chairman Jerome Powell said sluggish productivity and a widening wealth gap were the biggest challenges facing the U.S. over the next decade. There are no major economic reports or Treasury auctions scheduled on Friday. In oil markets, crude futures slipped on Friday, pulled lower by heightened worries over a global economic downturn. Brent crude, the international benchmark for oil prices, was trading at $61.57 a barrel Friday morning, down 0.1 percent, while West Texas Intermediate (WTI) stood at $52.46, down 0.4 percent. The level of crude output from the U.S. will once again be a major factor this year, the International Energy Agency (IEA) said its closely-watched report on Friday, with the energy giant on track to reaffirm its position as the world’s leading crude producer. The IEA report comes shortly after OPEC and non-OPEC producers officially implemented a fresh round of supply cuts. Alongside Russia and nine other nations, top oil exporter Saudi Arabia struck a deal with the rest of OPEC in December to keep 1.2 million barrels per day (b/d) off the market from the start of January. “While the other two giants voluntarily cut output, the U.S., already the biggest liquids supplier, will reinforce its leadership as the world’s number one crude producer,” the Paris-based IEA said Friday. International benchmark Brent crude traded at around $61.69 Friday morning, up 0.8 percent, while U.S. West Texas Intermediate (WTI) stood at $52.56, almost 1 percent higher. Brent crude has fallen almost 30 percent since climbing to a peak of $86.29 in early October last year, while WTI is down more than 31 percent over the same period. The collapse in oil prices was exacerbated by concerns about oversupply, as well as a stock market slump amid worries over rising U.S. interest rates. That prompted OPEC and non-OPEC producers to throttle back output at the start of 2019, in an effort to try to put a floor under falling oil prices. Oil slipped on Friday amid concerns over the outlook for the global economy, but output cuts agreed by major exporters underpinned crude prices and kept markets on track for a strong weekly climb. International Brent crude futures were at $61.55 per barrel at 0333 GMT, down 13 cents, or 0.2 percent, from their last close. U.S. West Texas Intermediate (WTI) crude futures dropped 7 cents, or 0.1 percent, to $52.52 per barrel. 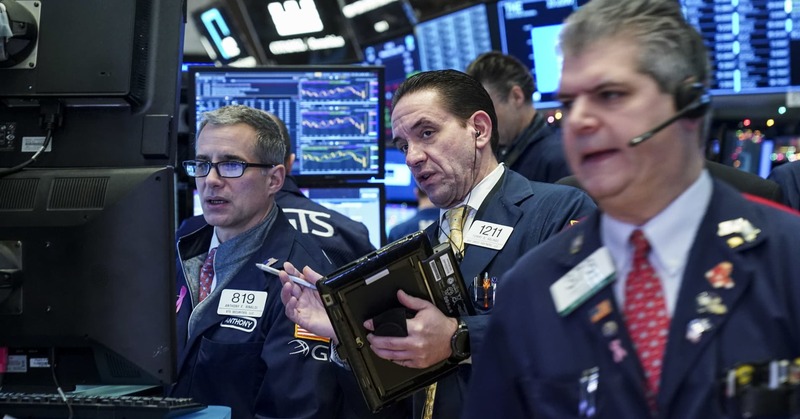 Traders said the declines came on lingering concerns over the health of the global economy. “If we experience an economic slowdown, crude will underperform due to its correlation to growth,” said Hue Frame, portfolio manager at Frame Funds in Sydney. Most analysts have downgraded their global economic growth forecasts below 3 percent for 2019, with some even fearing a looming recession amid trade disputes and spiralling debt. For now, however, there is hope that the trade war between Washington and Beijing may be resolved as global markets, including oil, took heart from talks between the two sides this week. Despite Friday’s price falls, Brent and WTI are set for weekly gains of more than 7 and 8 percent respectively. Beyond global economics, oil markets are receiving support from supply cuts led by the Organization of the Petroleum Exporting Countries (OPEC) aimed at reining in a glut that emerged in the second-half of 2018. 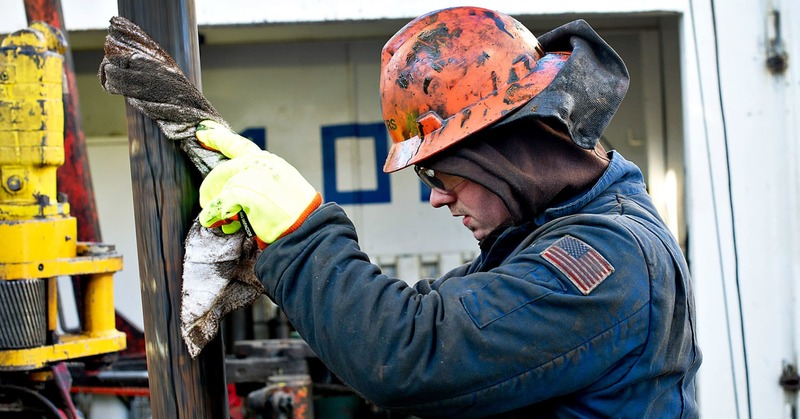 A key reason for the emerging glut was the United States where crude oil production soared by more than 2 million barrels per day (bpd) in 2018 to a record 11.7 million bpd. Consultancy JBC Energy this week said it was likely that U.S. crude oil production was already “significantly above 12 million bpd” by January 2019. Given the overall supply and demand balance, Swiss bank Julius Baer said it was “price neutral” in its oil forecast. 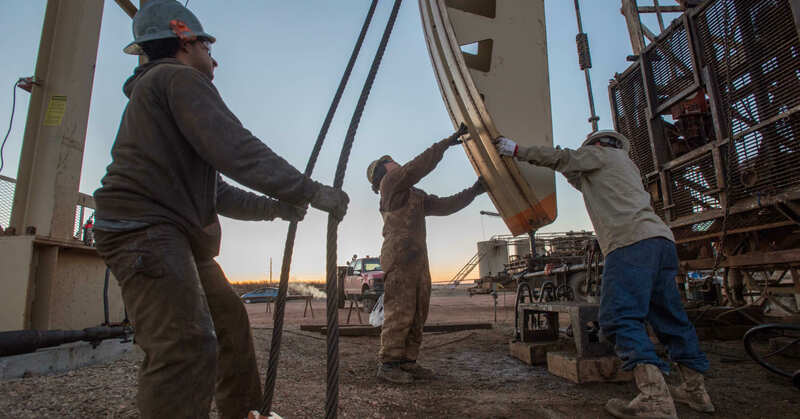 “We see the oil market as well balanced into the foreseeable future, as the petro-nations make space for further U.S. shale production growth,” said Norbert Ruecker, head of commodity research at the bank. Oil prices rose 2 percent on Wednesday as the extension of U.S.-China talks in Beijing raised hopes that the world’s two largest economies would resolve their trade standoff. U.S. West Texas Intermediate (WTI) crude oil futures were at $50.82 per barrel at 0945 GMT, up $1.04, or 2.09 percent, the first time this year that WTI has topped $50. International Brent crude futures were up $1.09, or 1.86 percent, at $59.81 per barrel. Both crude price benchmarks added to Tuesday’s 2 percent gains and have now been on the rise for eight straight days – their longest rally since June 2017. “After a dreadful December for risk markets, crude oil continues to catch a positive vibe,” said Stephen Innes at futures brokerage Oanda in Singapore, citing tensions between the superpowers which have cast a pall over the world economy. The trade talks in Beijing were carried over into an unscheduled third day on Wednesday, amid signs of progress on issues including purchases of U.S. farm and energy commodities and increased U.S. access to China’s markets. “Talks with China are going very well!” U.S. President Donald Trump tweeted, without elaborating. State newspaper China Daily said on Wednesday that Beijing was keen to put an end to its trade dispute with the United States, but that any agreement must involve compromise on both sides. Citing the trade friction, the World Bank expects global economic growth to slow to 2.9 percent in 2019 from 3 percent in 2018. “At the beginning of 2018 the global economy was firing on all cylinders, but it lost speed during the year and the ride could get even bumpier in the year ahead,” World Bank Chief Executive Kristalina Georgieva said in a semi-annual report released late on Tuesday. More fundamentally, oil prices have been receiving support from supply cuts started at the end of 2018 by the Organization of the Petroleum Exporting Countries and allies including Russia. The OPEC-led cuts are aimed at reining in an emerging supply overhang, in part because U.S. crude output surged by around 2 million barrels per day (bpd) in 2018 to a record 11.7 million bpd. Official U.S. fuel storage data from the Energy Information Administration is due at 1800 GMT on Wednesday.